Or, you can also head over here and snag Cover Girl Outlast Double Lip Shine Lip Glosses in select colors for as low as $2.97 + Free Shipping! Hop on over to Amazon where to score this highly rated Skip Hop Versa Diaper Bag in Sketch Diamond for the lowest price of $36.74 (regularly $70!). Plus, you’ll score FREE Super Saver Shipping OR FREE 2-day shipping with Amazon Prime (check out this post for more information on how to score a 30-day free trial of Amazon Prime). VERSA keeps up with you and baby through errands, playdates, work and even the gym. Pack it, grab it and go. Two insulated front pockets are roomy enough to store baby’s bottles, sippy cups and food. Nine more pockets easily organize diapers, toys, clothes and all of your personal items keeping everything safe and dry. A quick zip down the center provides over 20% more storage capacity. 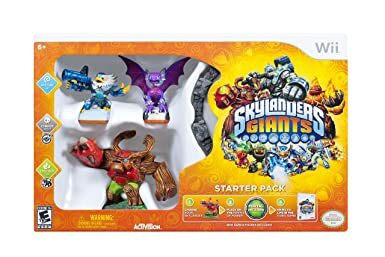 Head on over to Amazon.com to get the Skylanders Giants Starter Pack (Xbox 360) for $30.00 – that’s 50% off it’s original price. Keep in mind Amazon changes prices anytime! Head on over to Amazon where they are offering up a Fisher-Price Laugh & Learn Love to Play Puppy with Bonus CD for only $11.99 (regularly $22.99!). PLUS – this puppy will ship FREE with Super Saver Shipping with a $35 order OR snag FREE 2-day shipping (no minimum) with Amazon Prime . **As a price comparison, just this puppy is currently priced at $17.99 on ToysRUs.com! Do you have a Barbie fan in your household? Head over to Amazon to score the Barbie 3-Story Dream Townhouse for the lowest price it’s been of $81.49 (reg. $184.99!). AND, it ships FREE with Super Saver Shipping OR snag FREE 2-day shipping (no minimum) with Amazon Prime. Head over to Amazon where you can get this highly rated Lalaloopsy Doll Charlotte Charades for the lowest price it’s been of $8.98. Plus, this ships FREE with Super Saver Shipping on a $35+ purchase OR snag FREE 2-day shipping (no minimum) with Amazon Prime. As a price comparison, this same doll is selling for $14.99 at Toys R Us. If you have a Little People fan in your household, then head on over to Amazon where you can score this Fisher-Price Little People Tow ‘n Pull Tractor for the lowest price it has been of just $11.24 (regularly $17.99)! Plus, this item ships FREE with Super Saver Shipping on a $35+ purchase OR snag FREE 2-day shipping (no minimum) with Amazon Prime. 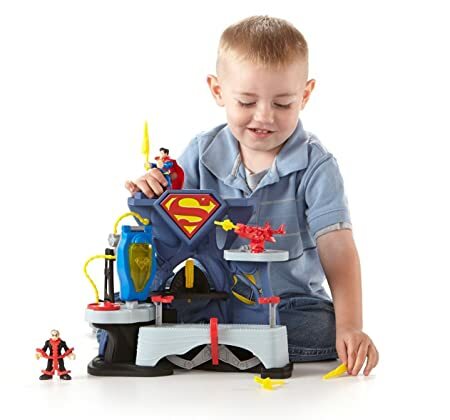 As a price comparison, this same toy sells for $17.99 on ToysRUs.com!